The queen of country returns! The inimitable Tanya Turner is heading out on a cross-continental tour of North America this year, bringing her unparalleled voice and extensive back catalogue to fans across the nation. With the rumour of new work on the horizon, don't miss out when Tanya heads to your town! Appearing on the cover of Rolling Stone with the headline 'Hi, I'm Tanya Tucker, I'm 15, You're Gonna Hear From Me' Tuckers career was launched into superstardom when she was still a young teen. Releasing her landmark album, T.N.T in 1978, which hit the number two spot on the album charts, Tuckers career was solidified, becoming County music's superstar. With 24 albums spanning over four decades, ten Grammy nominations, and three Academy of Country Music awards, Tanya Tucker shows no sign of slowing down on her trail blazing career. Don't miss out on witnessing this iconic singer live! Sound good to you? 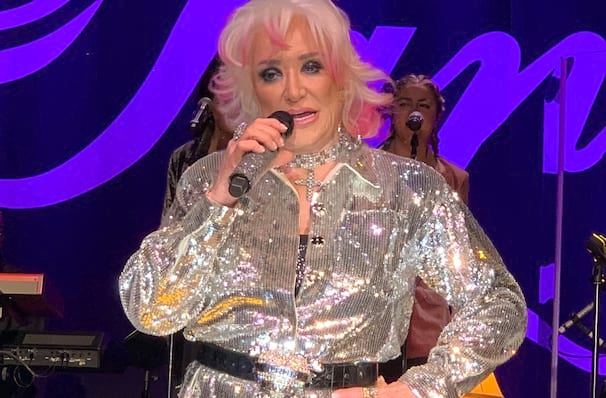 Share this page on social media and let your friends know about Tanya Tucker at Wagner Noel Performing Arts Center. Please note: The term Wagner Noel Performing Arts Center and/or Tanya Tucker as well as all associated graphics, logos, and/or other trademarks, tradenames or copyrights are the property of the Wagner Noel Performing Arts Center and/or Tanya Tucker and are used herein for factual descriptive purposes only. We are in no way associated with or authorized by the Wagner Noel Performing Arts Center and/or Tanya Tucker and neither that entity nor any of its affiliates have licensed or endorsed us to sell tickets, goods and or services in conjunction with their events.